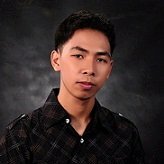 I have produced my form but can't submit it prior to embedding it in my webopage. Can you help? It's a form for viewers to submit stories about their pets, with a photograph. Are you able to provide an email acknowledgement service and some sort of filing service for a pet story library? Any suggestions for other services which may be useful are appreciated. I checked one of your form (http://www.jotformeu.com/form/63003354558352) and I was able to submit it properly. Are you still unable to submit your form? Can you try again and see if you can now submit your form on your end? Regarding on your other concern, I have moved it on a separate thread so we can better assist you. You can check the thread here: https://www.jotform.com/answers/977500. We will attend to your concern on that thread accordingly. I only have the one form so far - it shows in History but no where else. I need to export it to my website but, as far as I can see, I can't do that by using the History access to my form. So I still can't do anything. Your account Pbworth has 3 forms. If you go to https://www.jotform.com/myforms, you will see them. 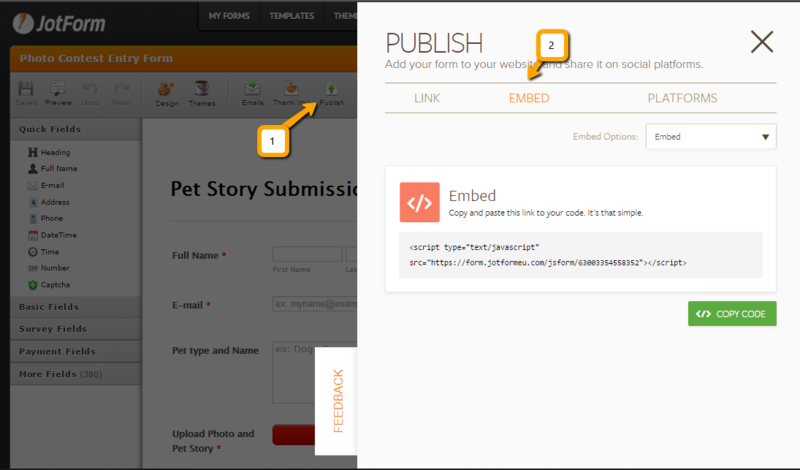 To embed your form to a website, you have to go to the Form Builder and click Publish. A wizard will popup showing your options to embed your form to your website. For more information, please see Adding a form to a web page.